Help!!! My Parent PLUS loans are presently in a forbearance that will end in a few months. My expected installment payments are more than my monthly income. I am retired and my husband is on disability retirement. We have another son presently attending college. What options are available to me (if any)? Do I ask for an extended repayment, or continue with an economic hardship deferment? My husband was a teacher for 33 years and I was a school nurse for 27 years; are there any programs to reward our years of service in an inner city environment? I am sure that I am not the only retired parent attempting to repay the Parent PLUS loans. — Rhonda B. Your options are unfortunately limited. Income-contingent repayment and income-based repayment are not available for Parent PLUS loans, so the only available repayment plans are standard repayment, graduated repayment and extended repayment. Depending on the loan balance, graduated repayment may initially have a lower monthly payment than extended repayment, but this payment will increase every two years and will eventually exceed the monthly payment under extended repayment. In most cases extended repayment yields the lowest monthly payment for borrowers who are ineligible for income-based repayment. In rare circumstances the US Department of Education will negotiate a more affordable repayment plan for loans in the Direct Loan program. However, they will want monthly payments that are at least 1% of the outstanding loan balance and higher than any involuntary garnishment amount. You might qualify for the economic hardship deferment, but this is not a permanent solution. The economic hardship deferment is limited to a maximum of three years. Interest continues to accrue on the Parent PLUS loan during the economic hardship deferment and will be capitalized at the end of the deferment, increasing the size of the loan. Like a forbearance, the economic hardship deferment will dig your debt into a deeper hole. Loan forgiveness programs such as public service loan forgiveness are generally not retroactive. They are based on future service, not past service. Also, the Parent PLUS loan is not eligible for public service loan forgiveness. (Technically the Parent PLUS loan is eligible for public service loan forgiveness. However, Parent PLUS loans are not eligible for income-based repayment or income-contingent repayment. That leaves just standard ten-year repayment or the equivalent available for use with public service loan forgiveness. Since the forgiveness occurs after ten years of full-time employment in a public service job while repaying the loans in the Direct Loan program, one must use income-based repayment or income-contingent repayment to reduce the monthly payment enough to obtain a financial benefit from the forgiveness. With standard ten-year repayment there will be nothing left to forgive at the end of the ten-year period.) 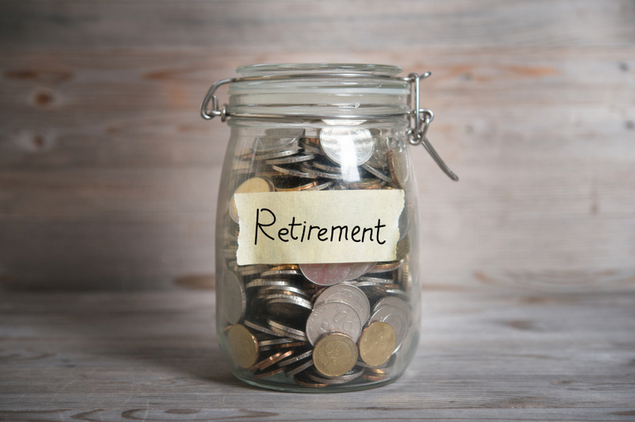 Another option is to come out of retirement to seek employment sufficient to repay the debt. Try to avoid defaulting on the loans. The federal government has strong powers to compel repayment, including garnishing up to 15% of Social Security benefit payments and offsetting federal and state income tax refunds. (Depending on the amount borrowed, the garnishment amount may be more or less than the monthly payment under extended repayment.) Federal education loans cannot be discharged in bankruptcy unless the borrower can demonstrate undue hardship in an adversarial proceeding; less than 1% of borrowers are successful in getting such a discharge. Collection charges of up to 25% will be deducted from each payment, including involuntary payments. The default will ruin your credit, possibly preventing you from getting credit cards, auto loans and home mortgages. You would also lose eligibility for further Parent PLUS loans. If you are denied a Parent PLUS loan, your son will become eligible for the same increased unsubsidized Stafford loan limits that are available to independent students, but the increase is only $4,000 or $5,000 a year, depending on year in school. That's much less than the cost-of-attendance cap on the Parent PLUS loan. However, if the increase in the unsubsidized Stafford loan limits yields enough money, you don't necessarily need to apply for and be denied a Parent PLUS loan for your son to qualify for the higher unsubsidized Stafford loan limits. College financial aid administrators have the authority under the regulations at 34 CFR 682.201(a)(3) and 34 CFR 685.203(c)(1)(ii) and (iii) to grant the higher unsubsidized Stafford loan limits in "exceptional circumstances" such as "the student's parent receives only public assistance or disability benefits." You might find Fastweb's Quick Reference Guide on Repayment Student Loans to be helpful.